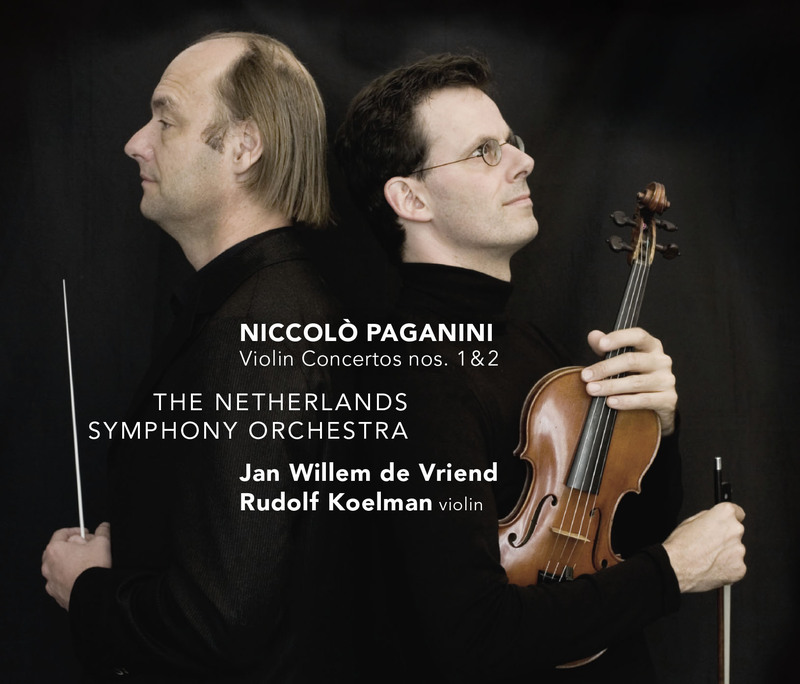 The programme offered in this CD forms a bridge between the two most popular violin concertos of Paganini and the operas of Rossini. The double bill of Paganini-Rossini opens our ears to Paganini’s operatic style of composing and - one might suggest - improvising techniques as well. The individual movements remind us of virtuosic or lyrical opera arias each with the solo violin replacing the human voice. Melody, melodic invention and virtuosity are the main elements. The orchestra contributes inventive introductions, intermezzos and codas, but when the soloist appears it is restricted to sustaining, underlining and punctuating his or her part. Sometimes it adds some color to the scoring as for example with the famous obbligato bell-ringing in the rondo finale of the second Concerto. A wide range of extensively employed embellishments similar to those used by Rossini in his arias, are employed to show off the virtuoso’s virtuosity often forcing notes as high as possible to regions, where there is virtually no space to place the playing fingers between bow and bridge. Paganini also uses ornamentation, as does Rossini, to enhance the expressive quality of music in a direct bodily way, which is difficult explain verbally. The physical act of tone production is the effect itself. The sequencing reiteration of musical figures ad infinitum correlates with the need to express oneself. So with Paganini as with Rossini there is no empty virtuoso tinkling. Rossini’s melodramma giocoso “Matilde di Shabran” (1821) was composed in such a hurry that the composer had no time to create a new overture but had to reuse one he had written two years ago for “Eduardo e Cristina”. Yet he inserted new wind parts introducing new thematic material in order to foreshadow the Finale I of “Matilde”, thus creating a tight nexus between the overture and the actual piece. There are many connections to Paganini’s style, for instance the tutti-beats at the beginning of both, overture and concertos, in order to attain the attention of a prattling auditorium, the melodic formation as well as the instrumentation namely in the piatti and cassa grande-parts of the first concerto, which obviously have been added later by Paganini.